Order your Pilot Custom Heritage 92 Demonstrator Fountain Pen today from FahrneysPens.com. Fine Pens, Refills & Luxurious Gifts – great prices & fast shipping. Pilot's Heritage 92 Transparent Fountain Pen is a beautiful blend of traditional and modernity with its piston filling ink system and beautiful contemporary design. 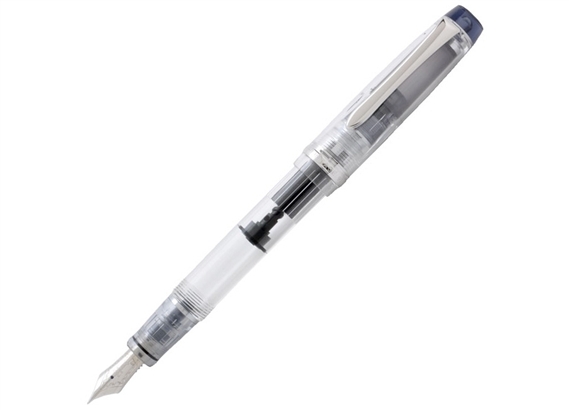 It’s rare to find a modern Japanese pen with a non-cartridge or converter ink filling system. You can suction ink into the pen by twisting the nob on the back of the barrel. 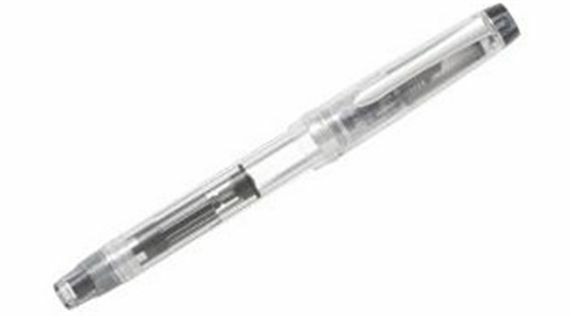 The pen has a 1.2 ml ink capacity, and the transparent design allows you to enjoy the colors of your ink as you write. Each pen is fitted with a handcrafted 14k nib that is responsive enough to create character as you draw, write and sketch. It also features a screw-on cap for extra security.